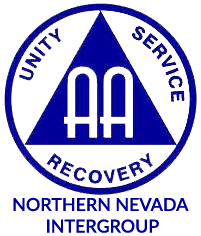 The Reno Triangle club a (501c3) not for profit was founded in 1991 by members of Alcoholics Anonymous and Al-Anon. We offer meeting rooms for AA, Al-Anon and Alateen groups. Our Café 449 provides a gathering place for people to enjoy coffee, soft drinks, snacks and conversation. Each meeting at the club is conducted by an autonomous group which is fully self-supporting. The business operations of The Reno Triangle Club and all groups are completely separate. We encourage new membership and look forward to having you stop by for a visit.